Admission to the Sixth Form is based on satisfactory GCSE results, with the addition of an informal interview for external candidates. If you are not yet at Princethorpe and are thinking of joining us, we would be delighted to welcome you. Please contact the Registrar, Vanessa Rooney and she will talk you through the process initially. The deadline for applications for Sixth Form Scholarships has yet to be confirmed for 2020 entry, however more information on the individual scholarships, requirements and the relevant process is outlined on our Sixth Form Scholarships and Bursaries page. We would encourage all prospective Sixth Formers and their parents to join us for our Sixth Form Open Evening on Wednesday 16 October 2019. The evening aims to give an overview of life in the Sixth Form. Staff and students are on hand in the departments to talk through A-level subject choices and you will be given a copy of our Sixth Form Admissions 2020 Information Booklet, which will include a timetable for the admissions process and decision making. Light refreshments will be available. 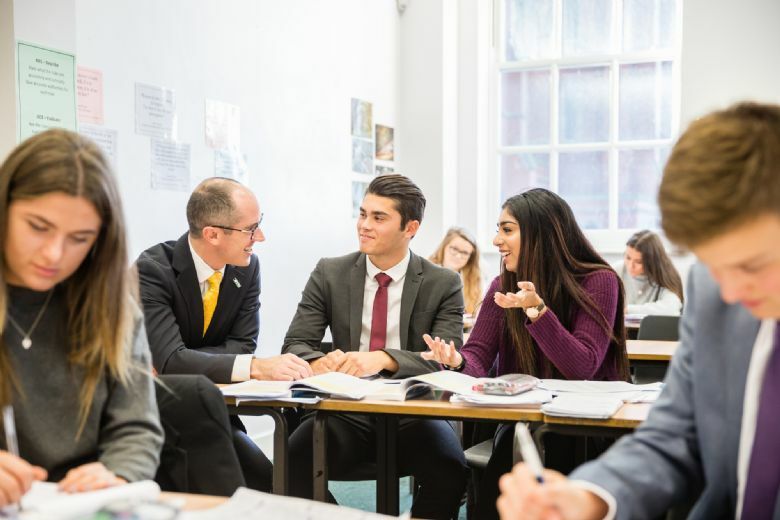 We will be offering specific Sixth Form Taster Days on two dates in December 2019 and January 2020. To register your interest in a Sixth Form Taster Day please email admissions@princethorpe.co.uk. The days will run from 9.15am to 5.00pm and are an informal opportunity for a small group of prospective Sixth Formers to visit the College for a selection of A-level subject taster lessons, a Q&A session with current Sixth Formers, lunch, a tour of school and a chance to meet the Headmaster and Head of Sixth Form.